Can you believe Sarah Palin would do something as stupid as pose in an American flag bikini holding a rifle? Yeah, I believe it too. Sarah’s brief run at VP was a drily amusing disaster. Sarah proved she was very good at lying and very poor at giving a straight answer. What was the deal with withholding her medical records for instance? Easy. Sarah, for all her blather about Share Life, and making abortion illegal again (seriously), blatantly endangered the life of her 5th child during the presidential campaign while he was in utero. While in her 9th month of pregnancy she flew to Texas, knowing that third trimester pregnant women should never use air transportation (gravity pressure induces labour) Sarah gleefully hopped onto a jet and predictably, hours before she was due to give her speech her water broke. 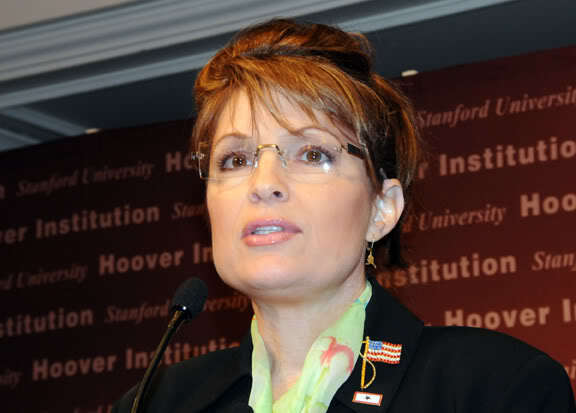 Ignoring Mother Nature’s plea to birth the kid already Sarah gave her speech then boarded another jet to Alaska. It was one more contradiction about her platform. It was precisely because of Sarah’s continual lies and ambiguous answers that no one had a grip on who she was and if you don’t know who you are voting for then why vote her in? I understand why Americans were on pins and needles the over 2008 election (although no one seriously believed the McCain/Sarah candidates had a snowball’s hope in hell did they?). Some very public people voiced their concerns. 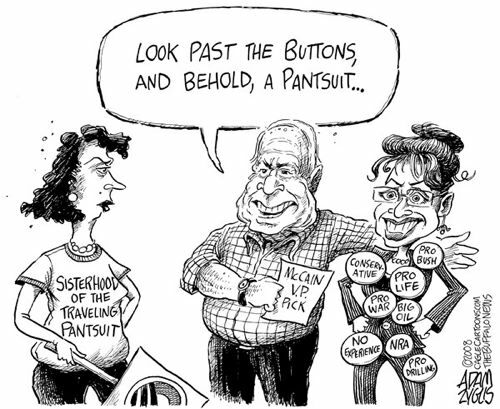 video: Family Guy – McCain-Palin Button. 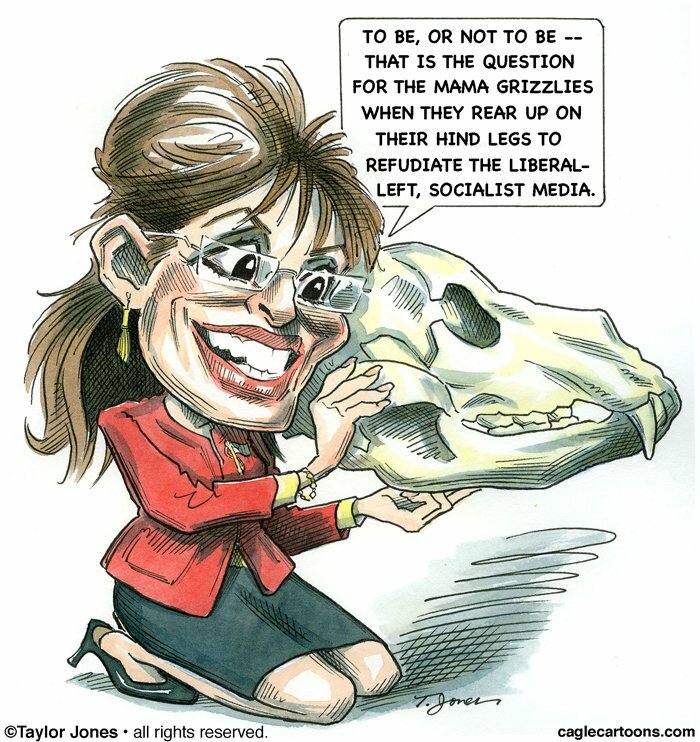 Sarah Palin’s Alaska … that dreadful anti-reality show…it seems to be working for her. And her book Going Rouge (as in blushing in embarrassment? very fitting). This entry was posted in Celebrities Who Bottomed Out and tagged Alaska, Helena Guergis, Sarah Palin, Sarah Palin's Alaska. Bookmark the permalink. A Coup d’etat began during the 2008 presidential election. Speaking of medical records did anybody see Obama’s? His school records, his actual birth certificate, etc. The person who had the utter lack of experience to become president in 2008 was OBAMA. He has proven that lack of experience as president, which is why his approval ratings are in the toilet and most find him not trustworthy after that Obamacare debacle.